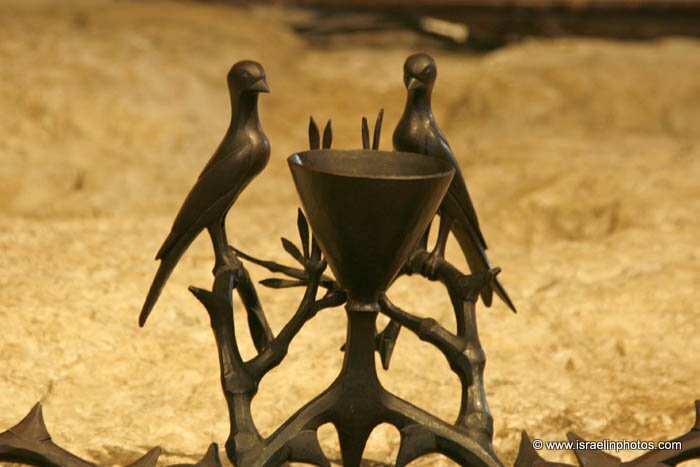 Gethsemane (in Hebrew "gat semani" means "olive press") holds an important place in the Gospels, since Jesus spent there the night before his arrest after sharing his last supper with his disciples. In the garden of Gethsemane Jesus suffered the Agony (Matthew 26:36-44). 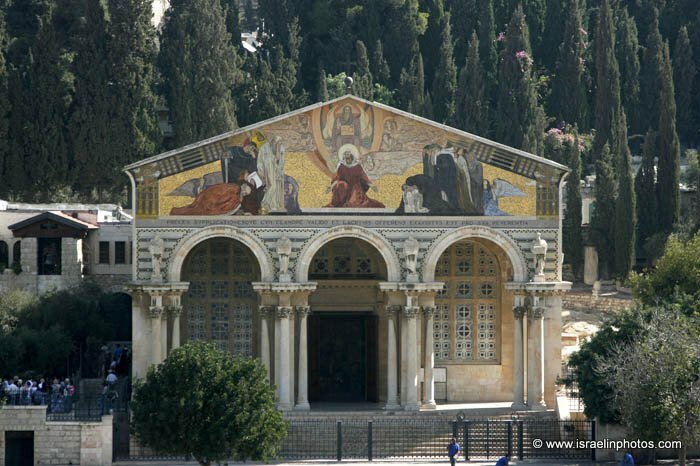 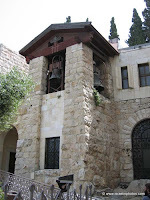 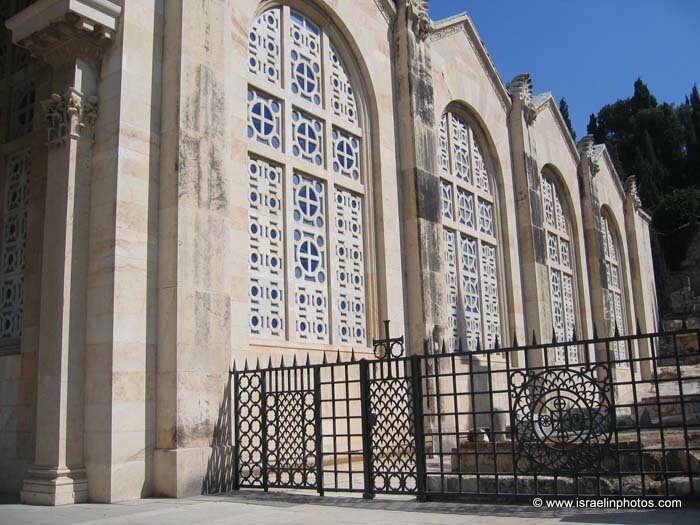 Located on the Mount of Olives, next to the garden is the Church of All Nations, also known as the Church (or Basilica) of the Agony, in commemoration of Jesus praying in Gethsemane the night before he was arrested and crucified. 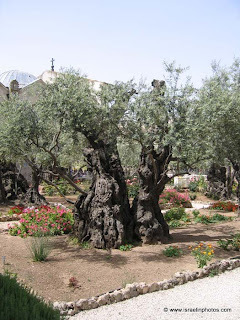 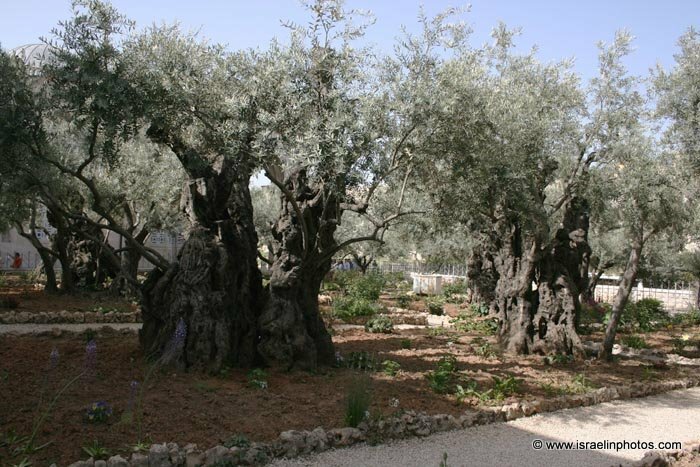 The garden of Gethsemane still rich today in olive-trees hundreds of years old and it is possible that these trees may be shoots of shoots of the same trees that witnessed Jesus' last night before his arrest. 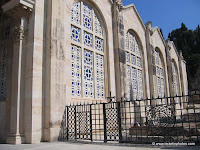 The name of the Church reflects the contributions which were made by a lot of countries to its construction. 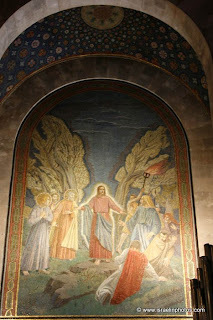 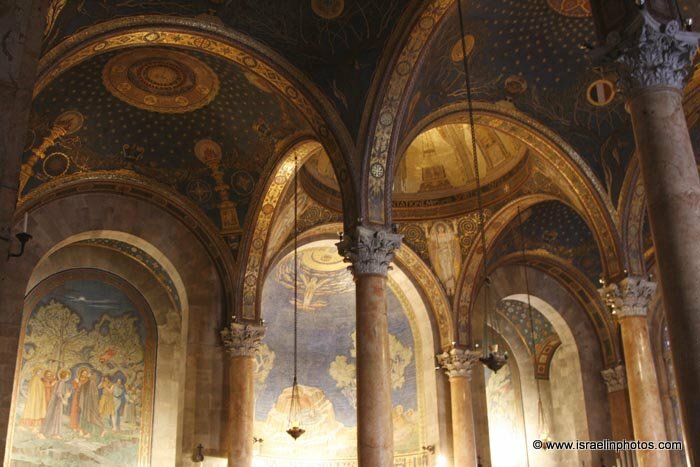 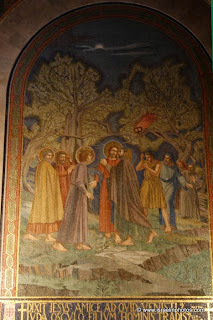 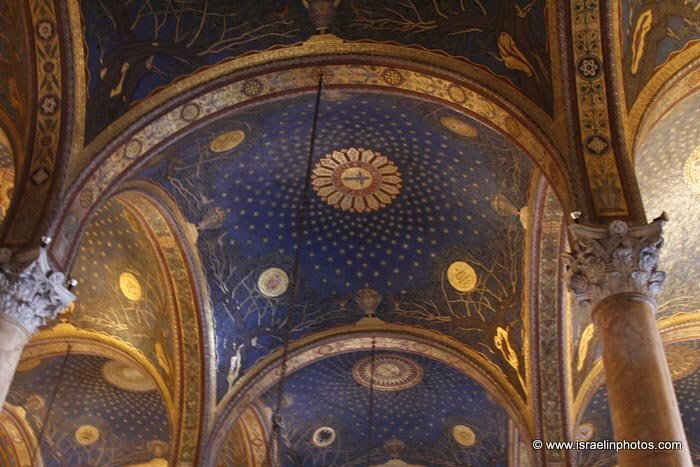 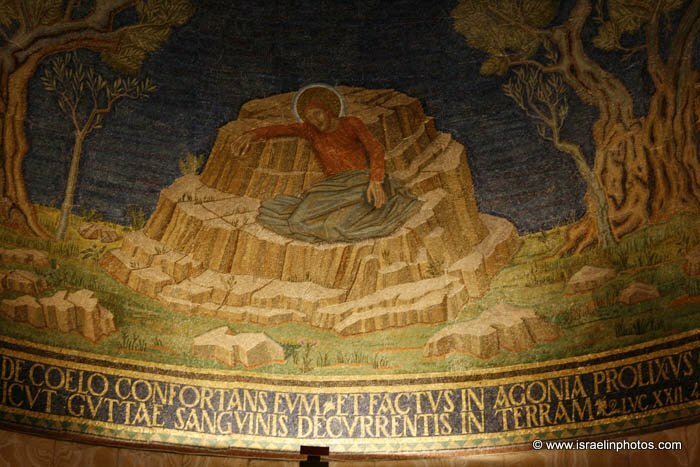 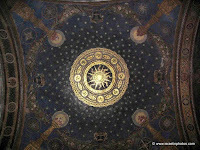 It is also called the Basilica of Agony, in reference to the pain which Jesus suffered on the eve of His Passion. 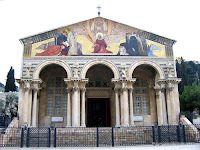 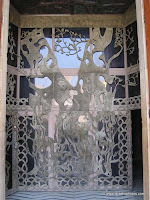 The Church of All Nations was built by the Italian architect Antonio Barluzzi 1919-1924. 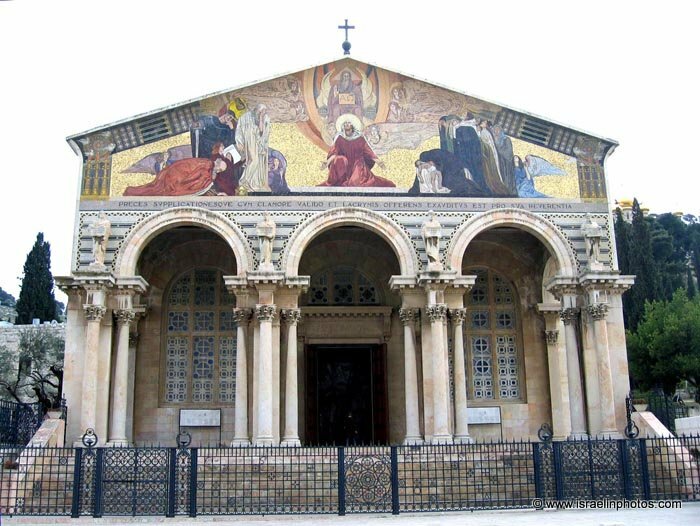 At the construction of the current church Barluzzi discovered the foundations of a Byzantine basilica. 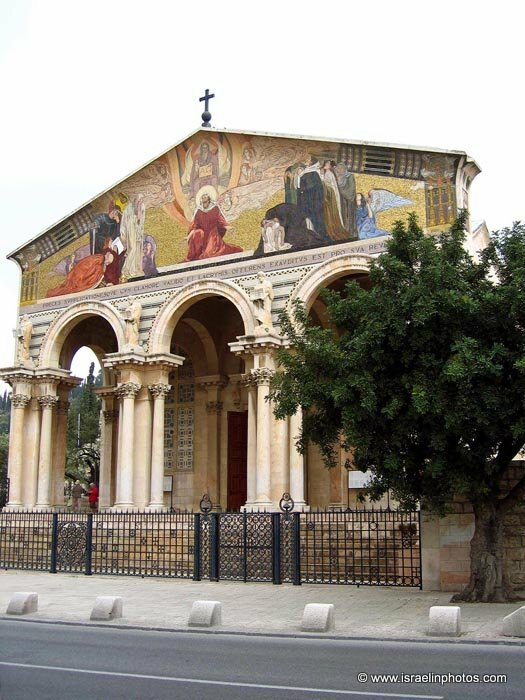 This must have been the "elegant church" (Latin: ecclessia elegans), as it is called by the fourth century pilgrim Egeria in her travel story. 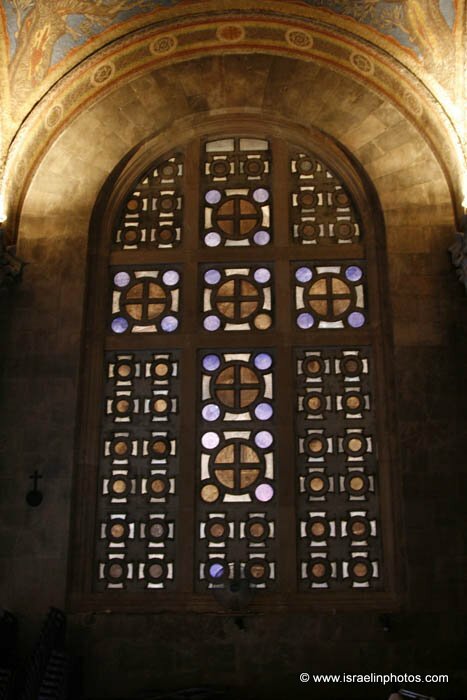 Original segments of the Byzantine mosaic floor are preserved under glass. A new basilica was built during the Crusaders era at the same spot. 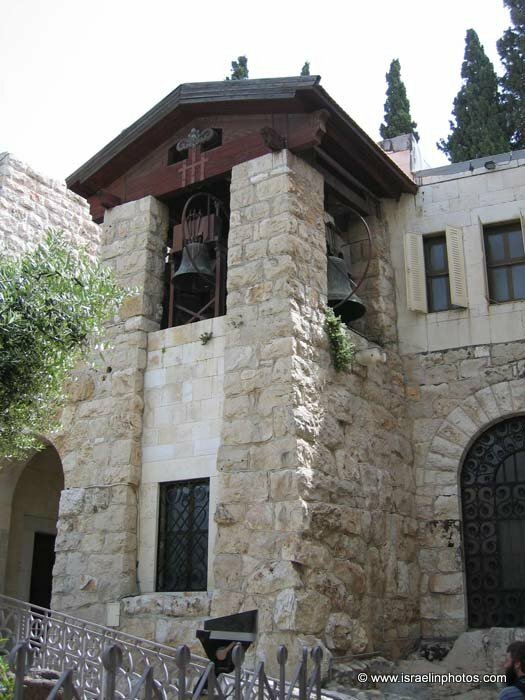 After the departure of the Crusaders the church fell in decline and nothing more of it remained. The mosaic of the facade above the head portal presents Jesus as a mediator between God and people. 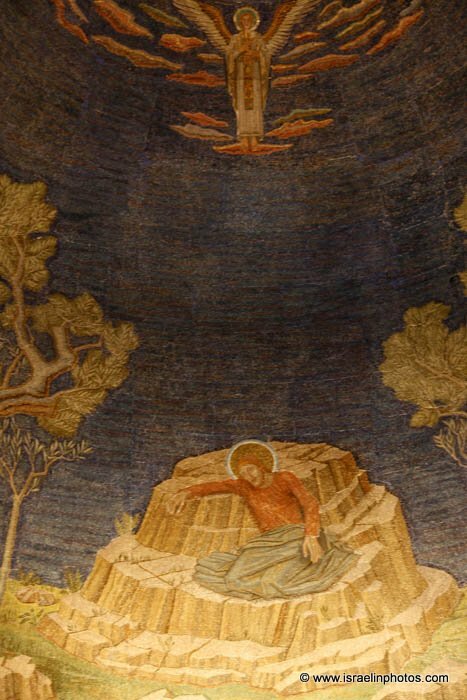 Below is a text saying: "Who in the days of his flesh, when he had offered up prayers and supplications with strong crying and tears unto him that was able to save him from death, and was heard in that he feared" (Heb. 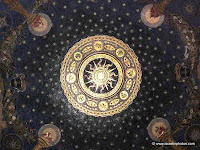 5:7). 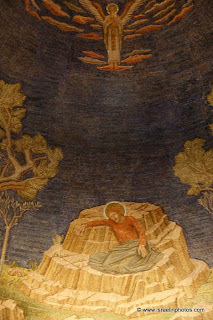 The four pillars of the portal carry pictures of four evangelists. 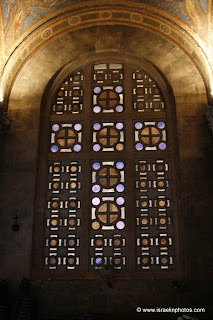 The windows are made of grey-blue alabaster and the casings - of Carrara marble. 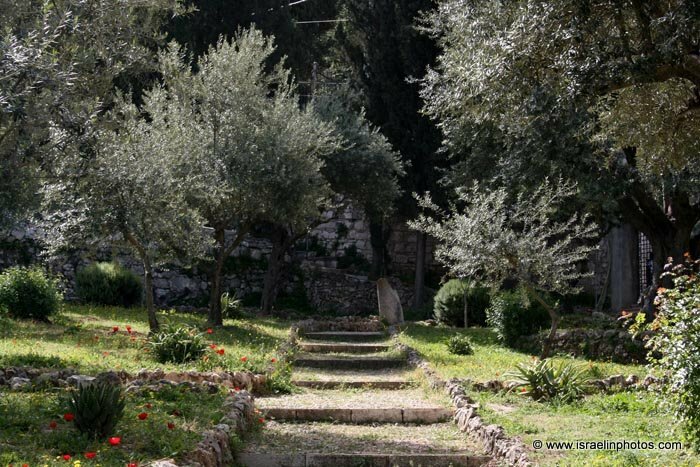 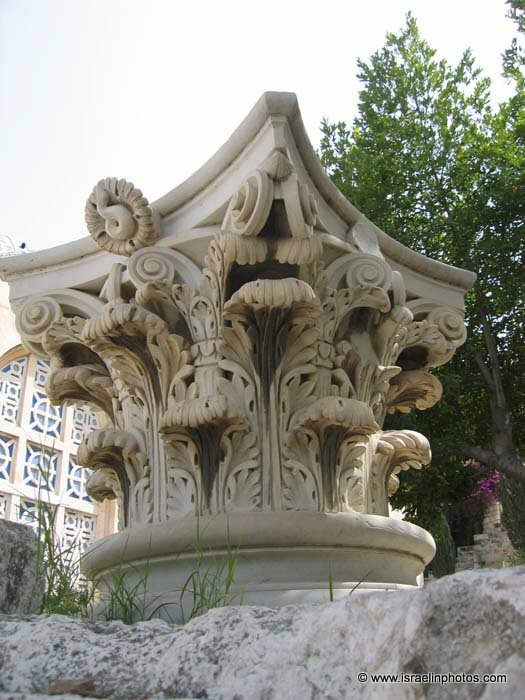 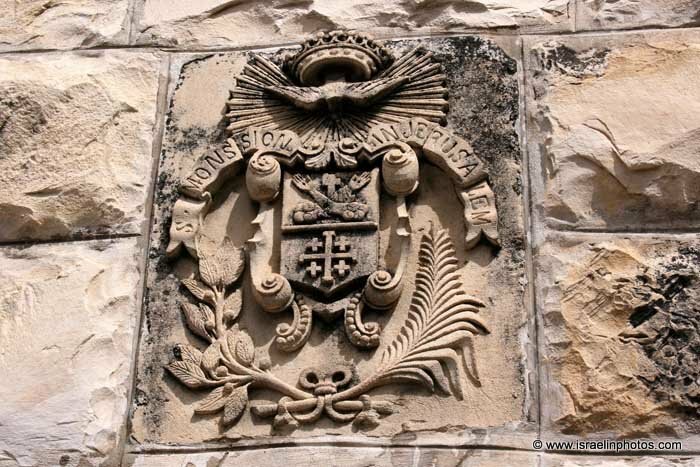 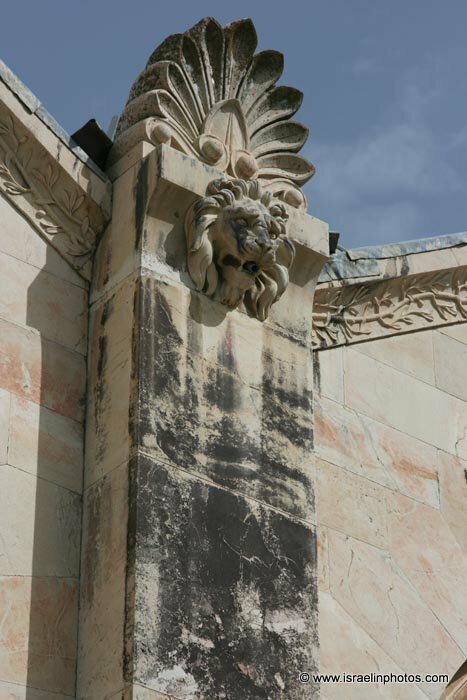 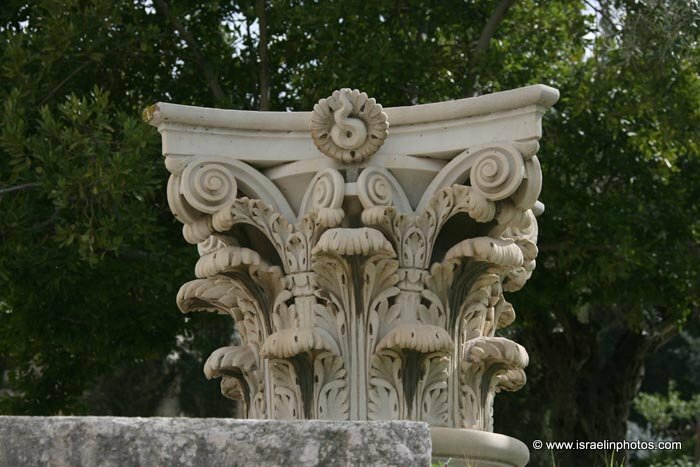 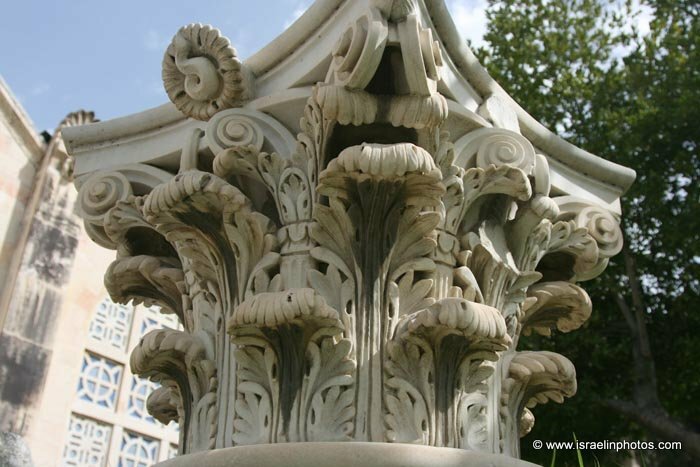 In the church the twelve pillars of reddish brown limestone from Bethlehem symbolize the olive-trees in the garden. 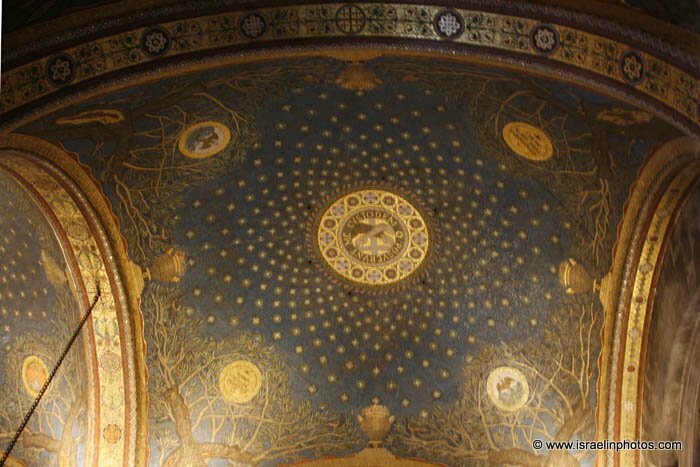 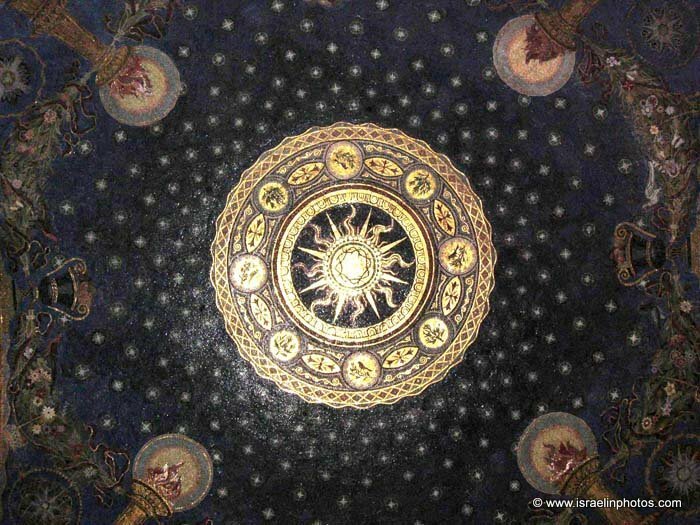 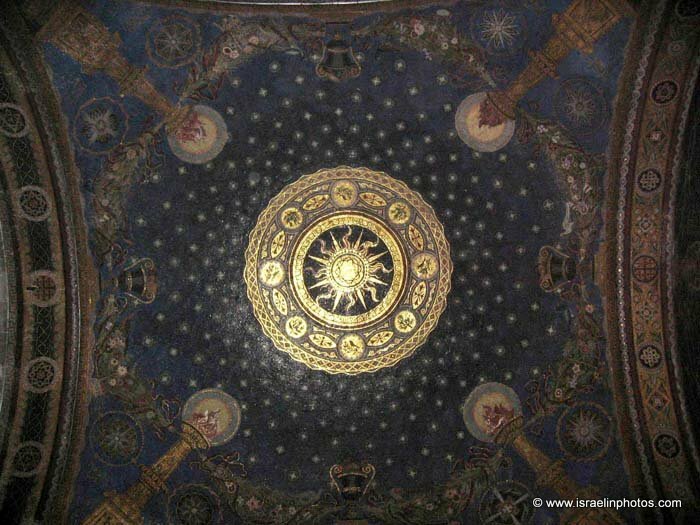 The domed mosaics have been made by artists from several countries: Mexico, Chile, Brazil, Argentina (left); Great Brittain, Spain, France, Italy (in the middle of); Germany, Canada, Belgium and the United States (right). 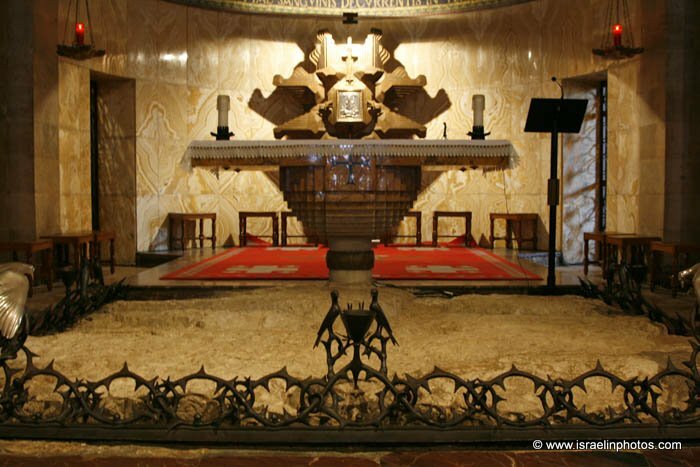 In front of the high altar there is a large fragment of rock on which Jesus is supposed to have prayed the night before the Passion. 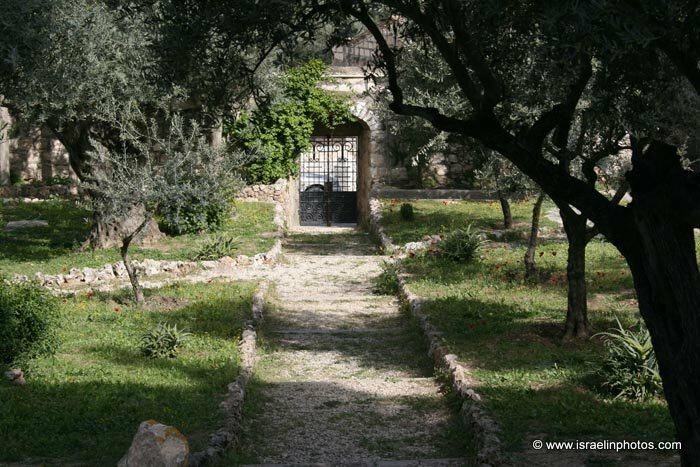 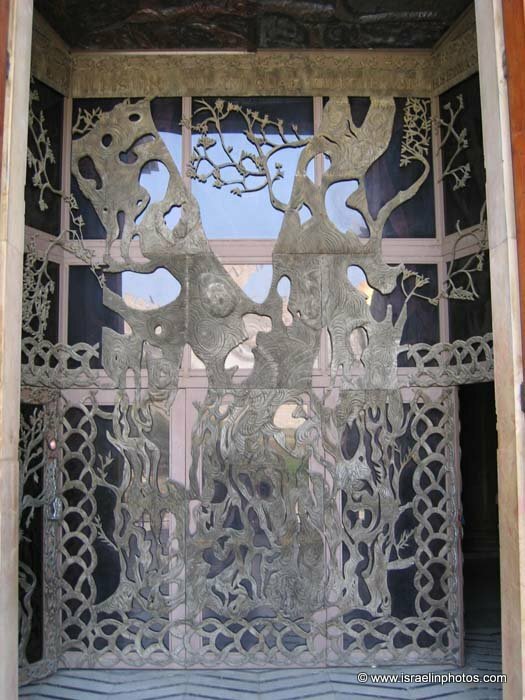 The rock is entirely surrounded by a crown of thorns in wrought iron. 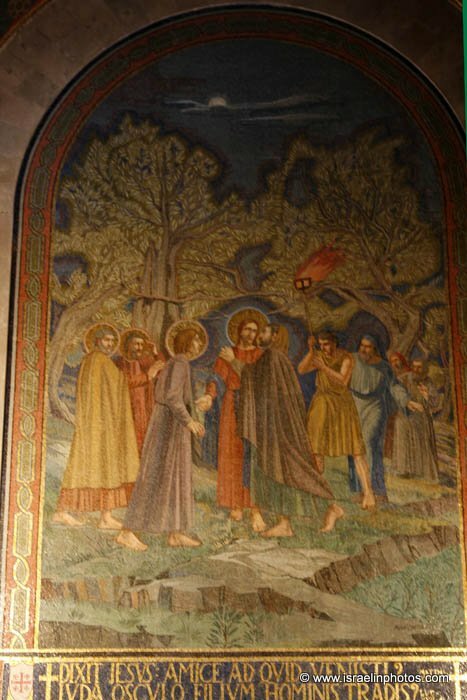 In the apses there are several mosaics representing Christ in Agony being consoled by an Angel, The Kiss of Judas and The Arrest of Jesus.